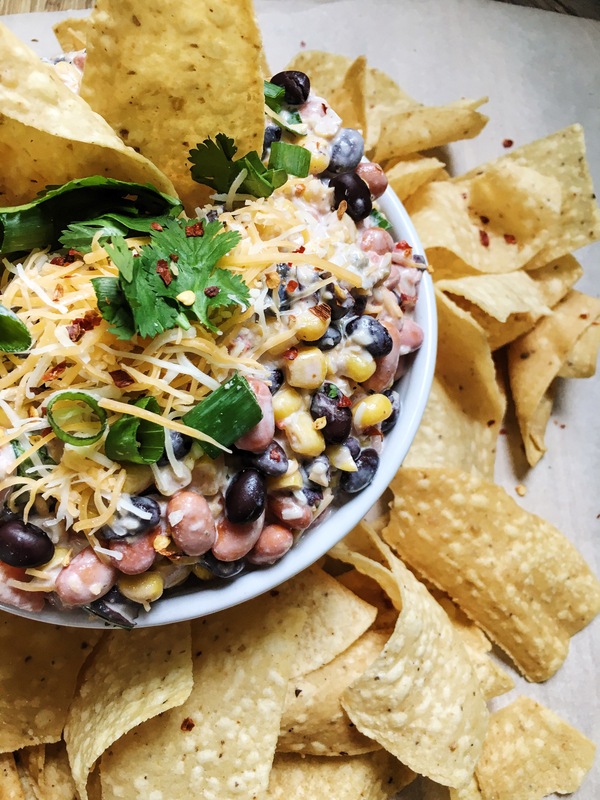 Need an easy quick dip to throw together for your next BBQ or get together with family or friends? This recipe is simple. 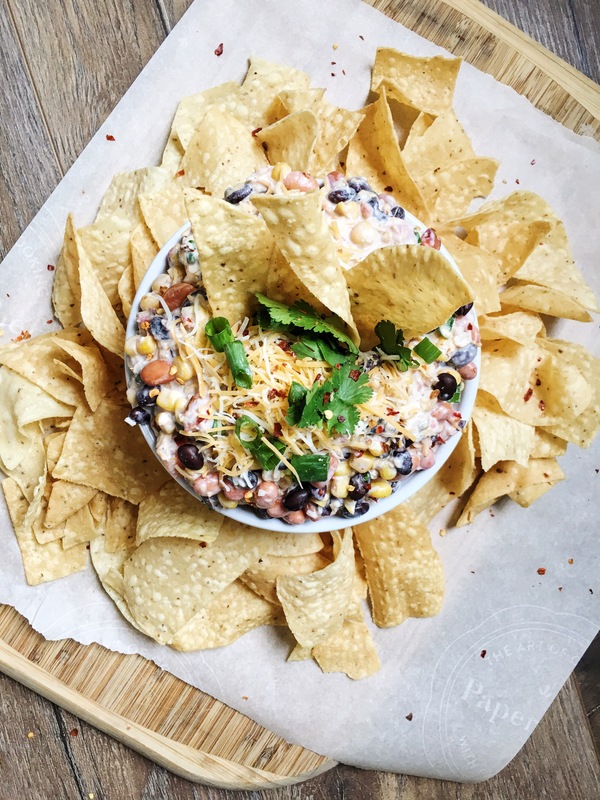 This dip can also be made ahead of time and stored in the refrigerator. We originally received this idea from our friend Kristie and added a few of our favorite ingredients to it! We call this one not-so-skinny because c’mon guys, let’s eat great flavored food! Enjoy our spin on the recipe! 1) Drain Rotel and Mexican corn cans with a strainer. Set aside. 2) Drain beans/ rinse beans with cold water. 3) We put the Rotel, beans, Mexican corn in a salad spinner and spin off excess liquid so the dip will not be watery. 4) Add all of the ingredients in a bowl and mix until thoroughly mixed. 5) Garnish with fresh cilantro, chopped green onions, shredded cheese, and crush red pepper. 6) Serve with tortilla chips. Mix all ingredients until smooth with a whisk. Chill in refrigerator for an hour or so.